Random Thoughts What I have been up to? Coaching I am currently working with Brashier Middle College baseball and Basketball team and also doing assistant basketball coaching. I am really enjoy working with the High school teams. A lot of them it is their first time actually working out and it is a whole new experience for them. A lot of high school athletes don’t know what it means to be in shape. So we get a lot of complaints and kids whining and we aren’t doing anything to serious. We are performing the basics of strength training and conditioning. I just finish reading the Book Becoming Bullet proof. It is a not a very long read but it goes in to details on how to improve your well-being and to strength yourself appropriately. The book is big on improving a person’s motor control. Regaining what we have lost over time. Some points they talk about is diaphragm Breathing which I personally believe is very important. They talk about the importance of Crawling, Rolling and Rocking the first basic movements of the human body and using those movements to help reset a person’s neural motor control. 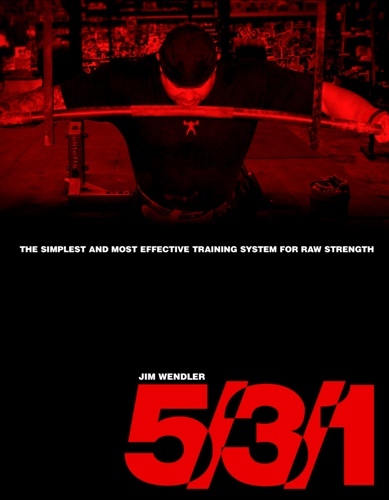 I thought it was a great read and I would recommend it to anyone in the fitness industry. This is another book I just started and after the first chapter I am hooked. It talks about how our subconscious mind makes judgments and decisions on everything in our lives and that those instant decisions are just about as accurate as long drawn out decision that we make in our daily lives. I have only read the first chapter so I can’t write too much about it but so far I am enjoying it a lot. Author SmithfitnessPosted on December 6, 2012 Categories UncategorizedTags aviation, health, mental-health, sports, training, transportationLeave a comment on Random Thoughts What I have been up to? What is interval training I am probably sure you’d read or heard that term someone where before but what is it and how can I apply it to my training. It is very simple. Interval training is a style of training that is move in a rhythmic fashion to help people attain conditioning. Interval training can be implemented to help with aerobic conditioning or it can be used to increase Anaerobic capacity. There are a thousands of different variations of interval training and to find the best format you must first analyze what your goals are. I use my case for now I will be running a Tough Mudder this weekend it is 11.5 miles and 22 obstacles. So if you do the math that is roughly 1/2 mile between each obstacle. that is a give or take because the distance between each obstacle will be different. So now we know my work capacity must be worked up to 22 sets of 800 yard jogs/run( no sprints because I’m not trying to break any records). Some would think that just jogging would be fine. The problem is that in this type of event there will be a lot of stop and go and performing different activities so running steady state will help but may not put you in the best shape for this event. An example is running cross-country to get ready for football. It wont help you at all. Now the pace I plan to run the race at is roughly 10 minute miles. So that translates to 5 min half mile pace. I will train at a faster pace 8 min miles. To help me prepare when I am on sprinting days. So now my work time and pace is 4 mins of work. My goal is to increase my aerobic capacity. So after my 4 min of work I must rest either 4 mins or 8 mins. Rest can either be stopping or walking. ( since my work period is pretty long I will go with a 4 min rest which gives me a 1:1 ratio). The closer the ratio is the more conditioning it will become. If you are trying to improve your anaerobic capacity a 1:3 – 1:4 ratio are better suited. The reason for that is will give you or your athletes enough recovery time to ensure that they make the sprint in the set time. Now my goal is to increase the duration and/or decrease the rest time. This will allow constant variation so that your body does not adapt and will continue to improve. If you look at most sports they usually run in intervals. Football 6-8 seconds is the average play followed by 20 -30 seconds of rest. Basketball is a lot of start and stopping. Intervals are a good way to improve your conditioning for cross-country and track because it will allow you to work at a higher intensity than normal. I recommend throwing in some interval training in your program. It can be done in many different ways be creative.